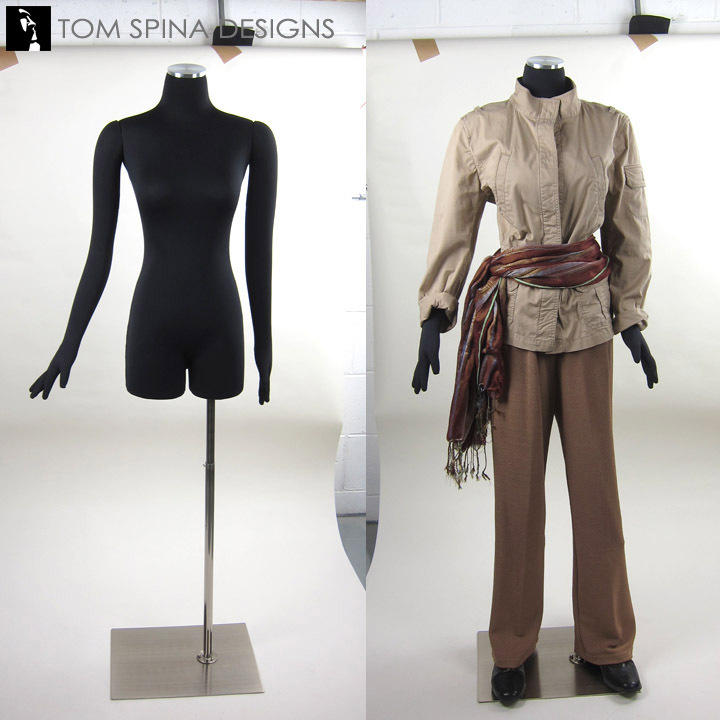 Home / The Collector Supplies Shop at Tom Spina Designs / Extra Large Male Mannequin – Muscular, Tall, Heavy Duty! 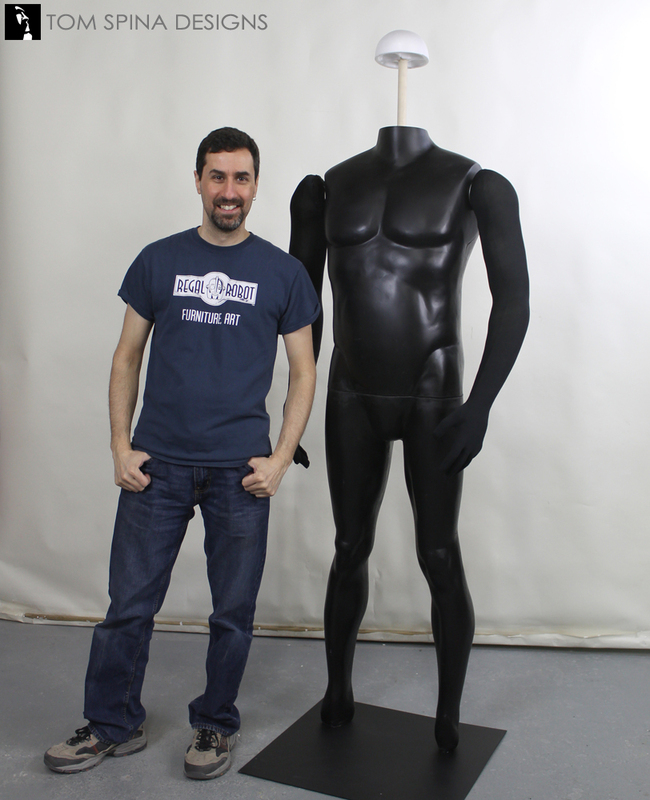 This exclusive EXTRA LARGE and tall muscular male mannequin can only be found here! Made to order, each consists of a heavy duty fiberglass body with removable soft bendable arms that are poseable right down to the fingers. MADE IN THE USA, this is not a cheap, lightweight retail mannequin! This giant sized fiberglass body form comes with a large steel plate base and is ideal to display larger male cosplay costume or monster. 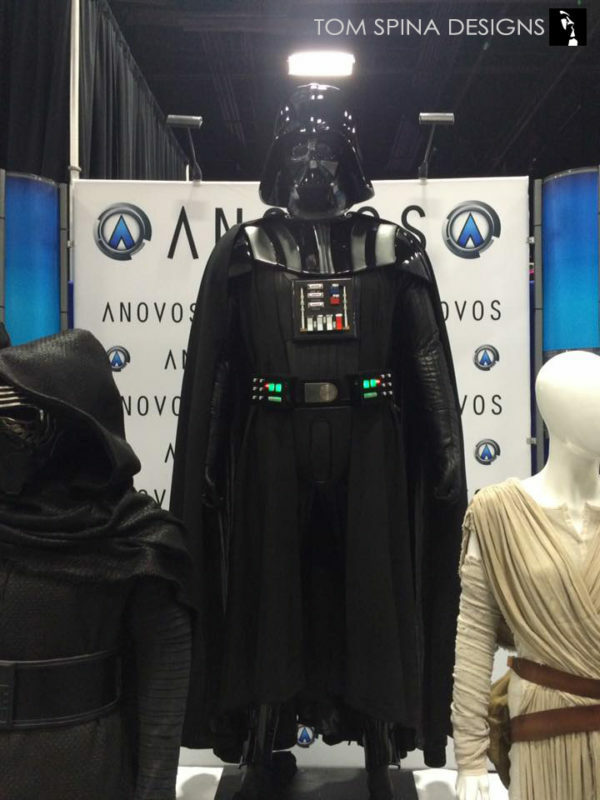 Based on a 6′ 7″ – 6′ 9″ height, this mannequin is perfect for displaying large cosplay and licensed costumes such as bodybuilder David Prowse as Darth Vader, the massive Jason from more recent Friday the 13th movies, or Michael Myers from Rob Zombie’s Halloween. See full measurements and size info below. 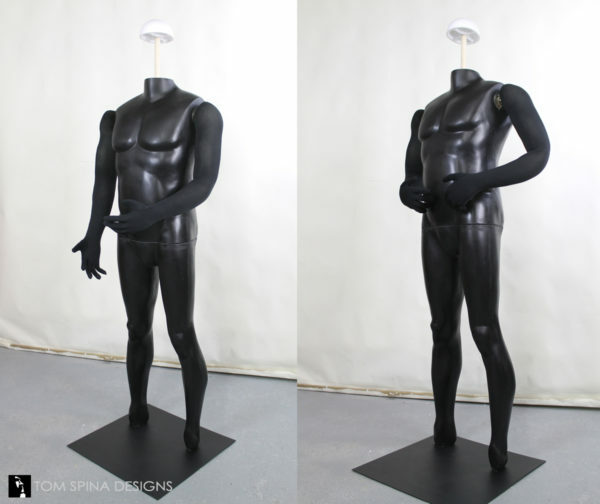 This TSD EXCLUSIVE and very much EXTRA LARGE and tall muscular male mannequin features a heavy duty fiberglass body with removable soft bendable arms that are poseable right down to the fingers. This extremely large and heavy body is not a mass produced item. These super-durable fiberglass mannequin forms are produced in the USA and can easily and safely support the weight of heavy costumes. The giant sized fiberglass body form is ideal to display larger male cosplay costume or monster. 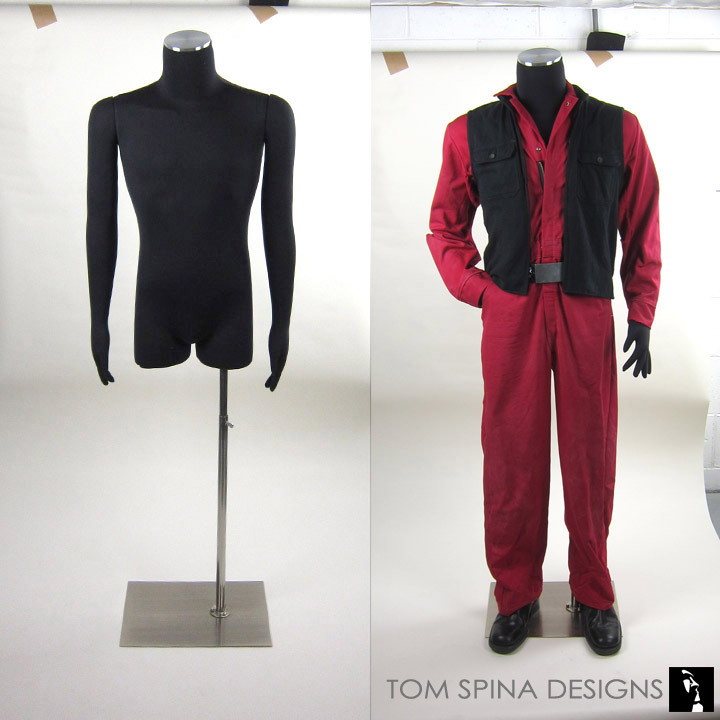 Based on a 6′ 7″ – 6′ 9″ height, this mannequin is perfect for displaying large cosplay and licensed costumes such as bodybuilder David Prowse as Darth Vader, Jason from more recent Friday the 13th movies, or Michael Myers from Rob Zombie’s Halloween. The mannequin features a wooden post topped with a foam head topper. The post can be trimmed to fit you specific costume, mask or garment best. 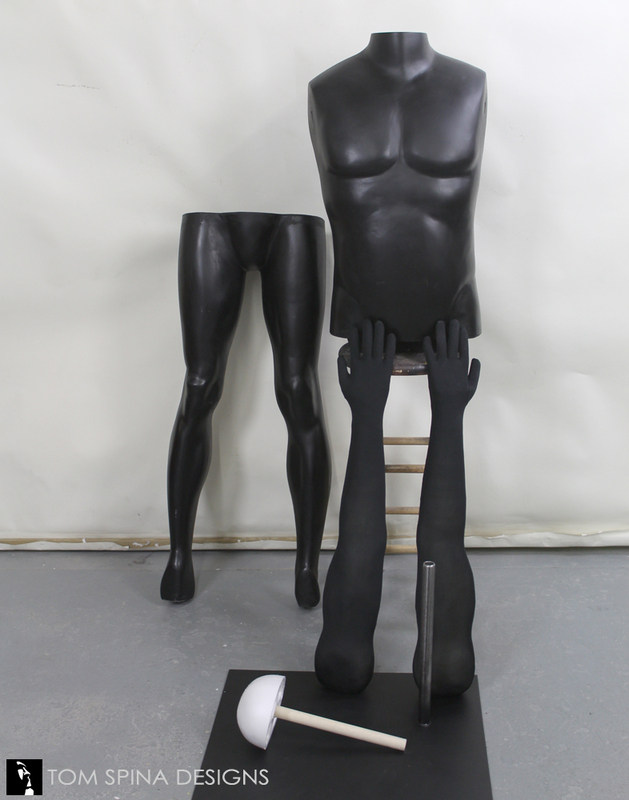 The mannequin also features a 24″ x 24″ steel base to support the extra large fiberglass body.